This month we will be exploring the power of the Light in our lives. The Church of Spiritual Light will be 3 years old this month! In that time our community has received many blessings, much healing and ever deepening pathways to enlightenment. The Light is the means by which all this has been accomplished. “The Light is more than some abstract, unknowable energy force. Light is Truth. If Light is truth, then darkness must be lies. Each and every lie we tell to ourselves and others casts the shadow of separation upon us. Every time even the most minor deception is revealed and the truth is made known we are re-united with the Light. So, Let there be Light. Those are the words by which you can create your own magnificent world.” - Rev. Renee Bledsoe. Bright blessings to all! I am fueled and sourced by the Light. I am born anew each day into the Light. My physical being is only 1% of who I am. My essence lives within my body, mind, heart and soul. I set my Spirit Free. I am filling my healing circle with the Love of the Light. I call upon my angels and spiritual allies for support, guidance and love. I am filled with spiritual abundance. I communicate with all the aspects of my being. I reveal my GodSelf to myself and to the world. My spiritual essence is immortal. I break with denial and embrace the truth of my life. I come into acceptance of what is. That is how I change and grow. I surrender to the power of the Light. The Light is universal truth. I am aware of multiple levels of perception and can accept paradoxical realities. I am discerning and enlightened. I tap into non-local consciousness for wisdom and guidance. I activate my intuition for greater knowledge of cosmic truth. My love is a gift to others and myself. I am guided to let love motivate and inspire my life. The Light reveals my true nature. I see with spiritual eyes beyond ordinary appearances. 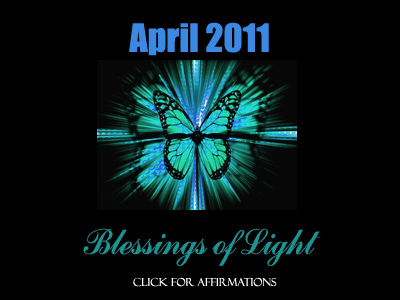 I receive light blessings to activate and assist my spiritual evolution. I give light blessings to activate and assist the spiritual evolution of others. I bring in the light of my higher self into my being. I live in the Light of the Creator. 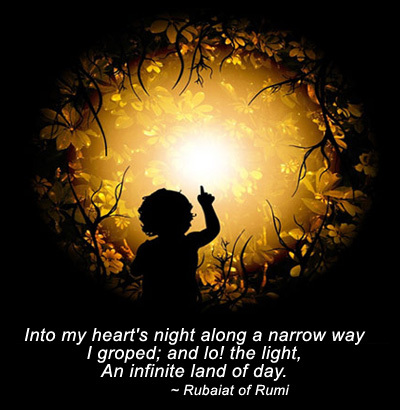 The Light is a limitless substance and provides all things needful, both spiritual and material. I am a portal for light and love. There is no separation between human and divine. Human is Divine.